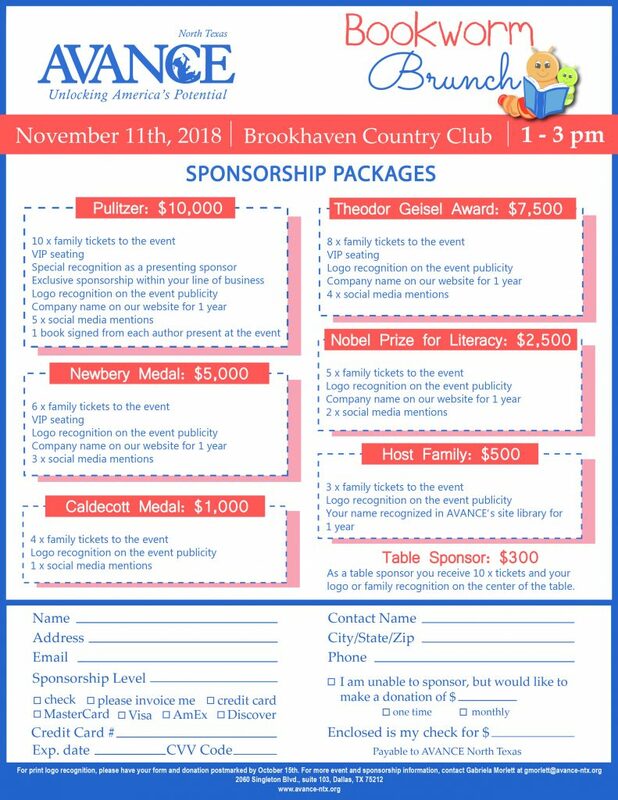 We would like to invite you and your family to come to our 2nd Avance North Texas Bookworm Brunch on Sunday, November 11 from 1:00 pm to 3:00 pm at Brookhaven Country Club. Children will enjoy fun arts and crafts activities, meet children’s book authors and characters, while at the same time begin to learn the principals of philanthropy and how they can play an important role in their communities. 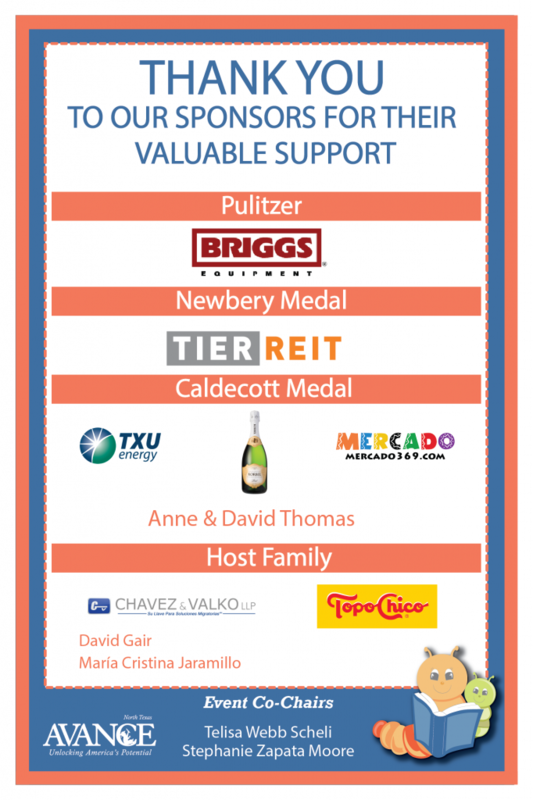 Your support as a sponsor will help to lay the foundation for more years of quality education and parent engagement in our community. AVANCE-North Texas has worked to build communities through an evidence–based, dual-generational education model that has proven to be highly effective in improving educational and financial outcomes for more than 33,000 undeserved, at-risk children and their families in North Texas. We hope you will join us in helping to change lives by becoming one of our sponsors. Below is the sponsorship packet for your review.